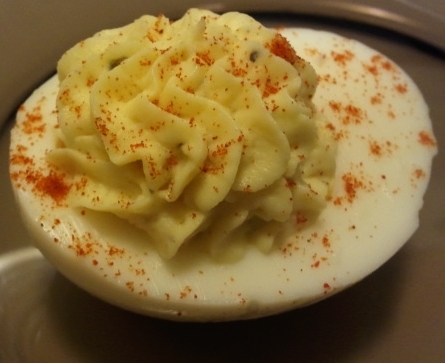 Today is National Deviled Egg day. What better day than to make my love one of his favorite foods? I love deviled eggs and make mine completely different than his. When you look at recipes for deviled eggs each one is different so there is no right or wrong way. Well, getting them too runny might be wrong but maybe that's the way you like them so it's okay. 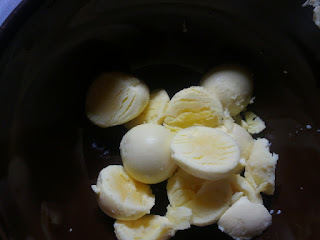 Boil your eggs. (I did mention before that I hate peeling eggs, right?) Don't use fresh eggs or you'll end up with mutilated eggs. So, eggs that have been in the fridge for a couple of weeks will be great for this. 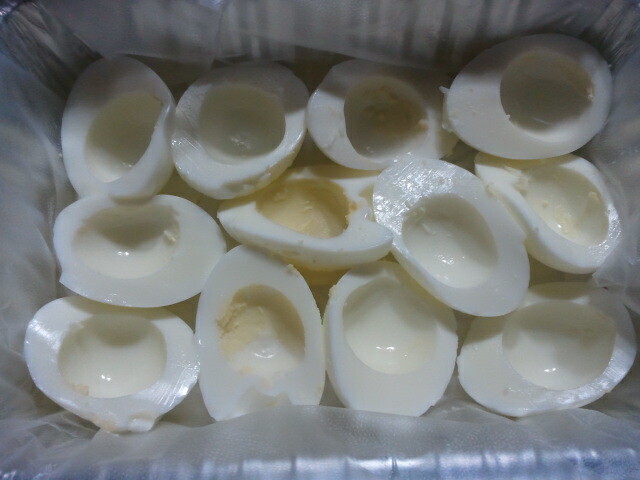 I boil my eggs by putting them in cold water, adding salt and lately the baking soda. Not because baking soda makes peeling any easier but because it makes the texture more tolerable when I am peeling the eggs. See my post about boiling eggs with baking soda here. Bring the water to a boil, reduce heat to medium and set timer for 8 minutes. 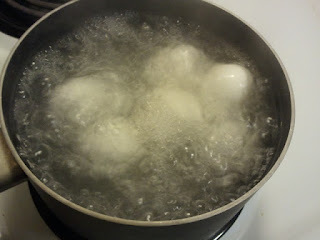 After 8 minutes carefully pour out the boiling water and start running cold water over the eggs. I do this for a couple of minutes then just let them sit in the cold water until they are cool enough to handle. Add the mustard, mayo, relish, salt and pepper to the yolks. 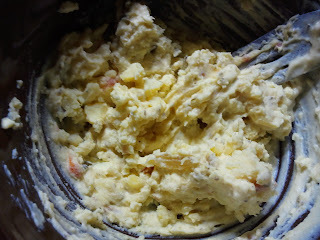 Using a fork, mash and mix the ingredients together. Sprinkle the tops with a little paprika and you are done. I will post my version around the holidays. If I can wait that long to make myself some. These look fabulous and would be perfect for parties!